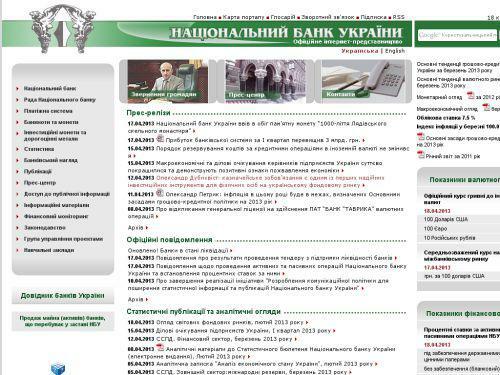 Website of the National Bank of Ukraine. Status and structure of the NBU Board, organizational structure. Payment and banking system of Ukraine, legislation, financial monitoring. Statistics survey finansovyvh markets, banknotes and coins of Ukraine, official publications.